During a discussion taking place at WMC’01, G. Paun put the question of what could be computed only by moving symbols between membranes. 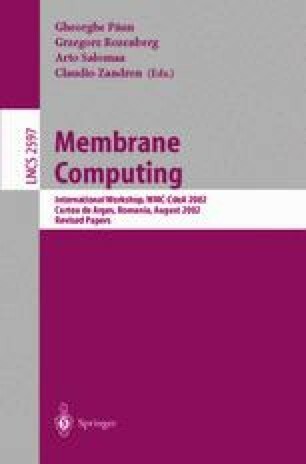 In this paper we provide some elements of the answer, in a setting similar to tissue Psystems, where the set of membranes is organized into a finite graph or into a Cayley graph, and using a very simple propagation process characterizing accretive growth. Our main result is to characterize the final configuration as a least fixed point and to establish two series of approximations that converge to it. All the notions introduced (Cayley graph of membranes, accretive rule and iteration) have been implemented in the MGS programming language and the two approximation series can be effectively computed in Pressburger arithmetics using the omega calculator in the case of Abelian Cayley graphs.